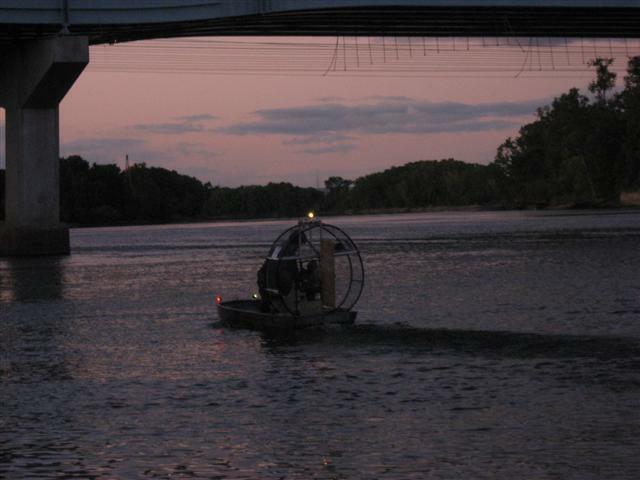 Here are some pictures from my latest project, a mini-airboat made from a small Jonboat and a paraglider motor. 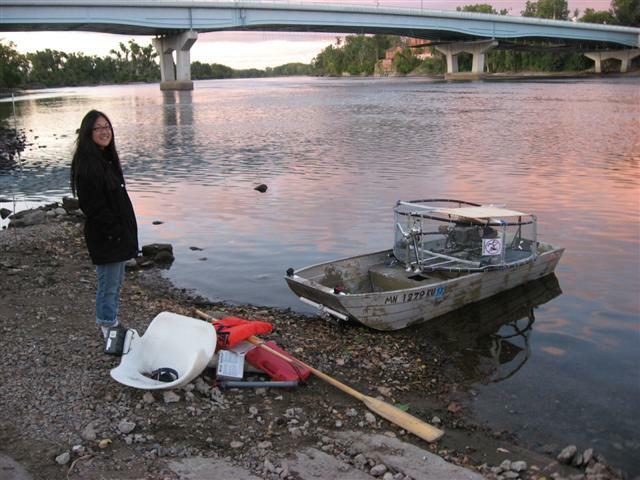 The eventual goal is to have an all-terrain vehicle with wheels that can run on water, land, and ice. 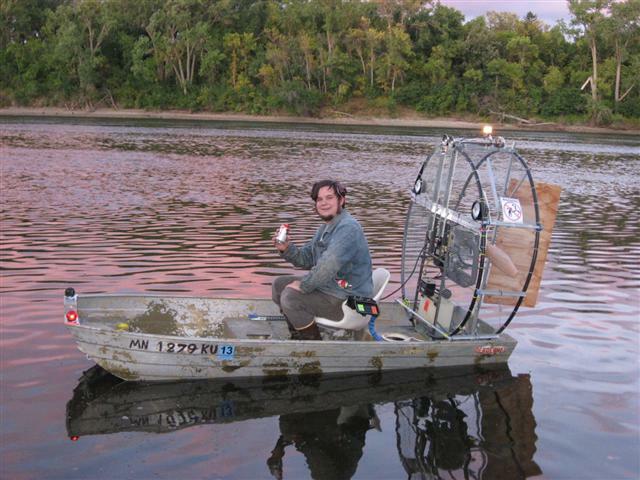 This is the first time I’ve worked with a radial engine or done anything with an air-propulsion boat. 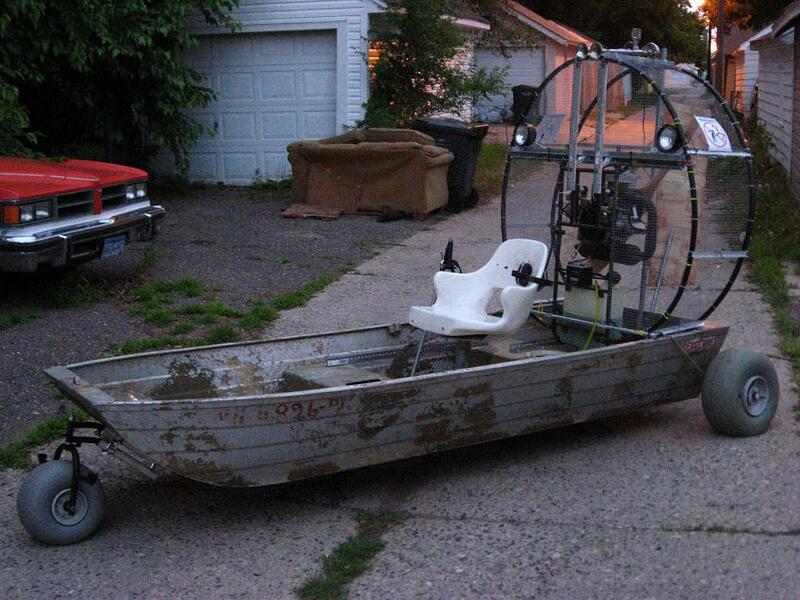 The engine is an MZ-34 Paramotor that is rated at around 30hp. The first step was to get the parts together. 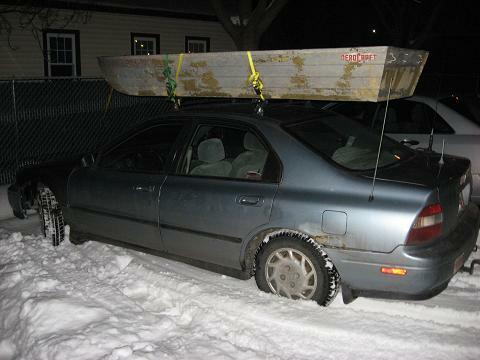 The boat hull was small enough that I didn’t even need a trailer! I was able to find it on Craigslist for $100, and it included a bunch of free mice living in the seats! Here’s the initial setup to verify how things should look. 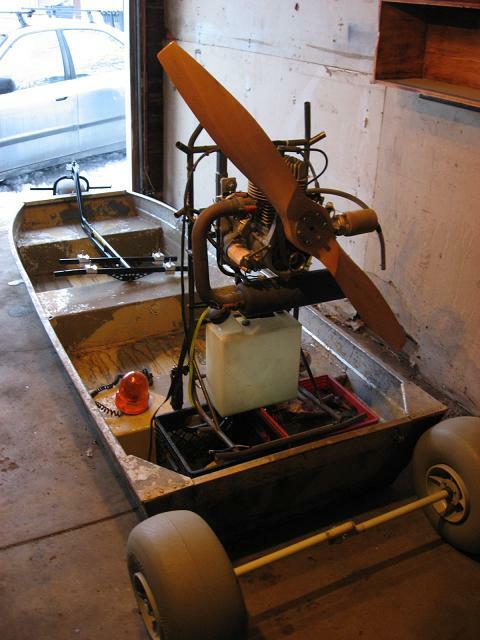 I constructed a safety cage around the motor and propeller, which also serves as the framework for the rudder. 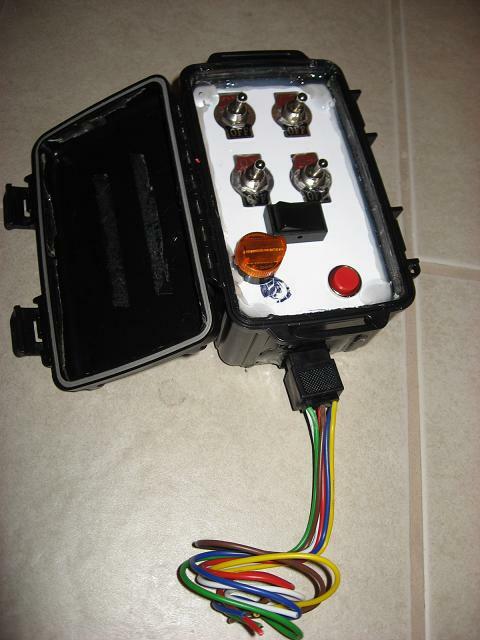 I also installed a complete electrical system with battery, running lights, headlights, bilge pump, and even a horn! The entire engine and rudder assembly folds down for easier transport and storage.The wheels are designed to fold up and/or be removable. Here are the initial on-water tests. 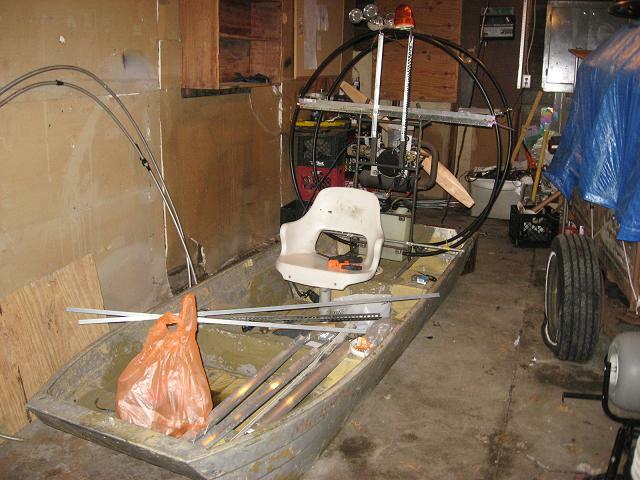 The boat still needs a few tweaks and some final adjustments, and I’m still working on a few components for the wheels. 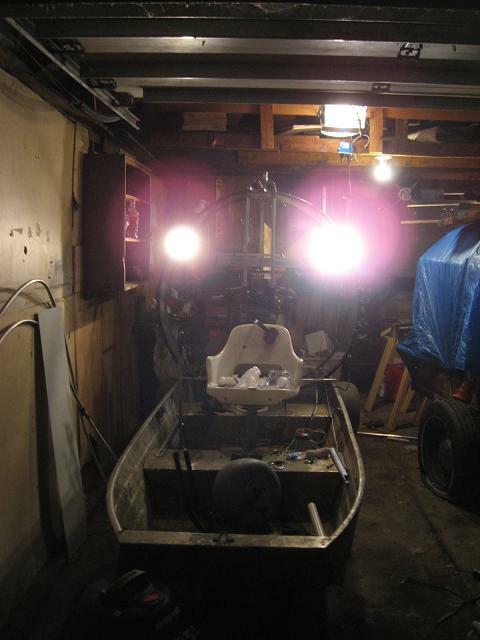 This entry was posted on Tuesday, September 27th, 2011 at 8:47 pm and is filed under Projects. You can follow any responses to this entry through the RSS 2.0 feed. You can leave a response, or trackback from your own site. Hey this is awesome. I was wondering what you used for a propeller? 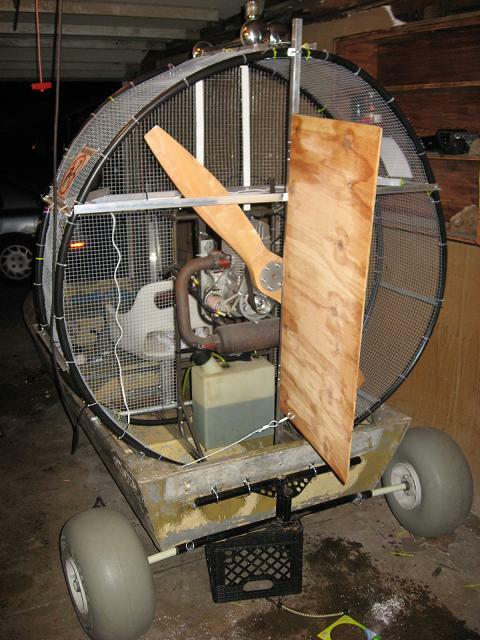 I’ve been thinking of doing something similar with an old snowmobile engine i have but i cant decide what to do about a propeller thats relatively cheap. Any suggestions would be great.